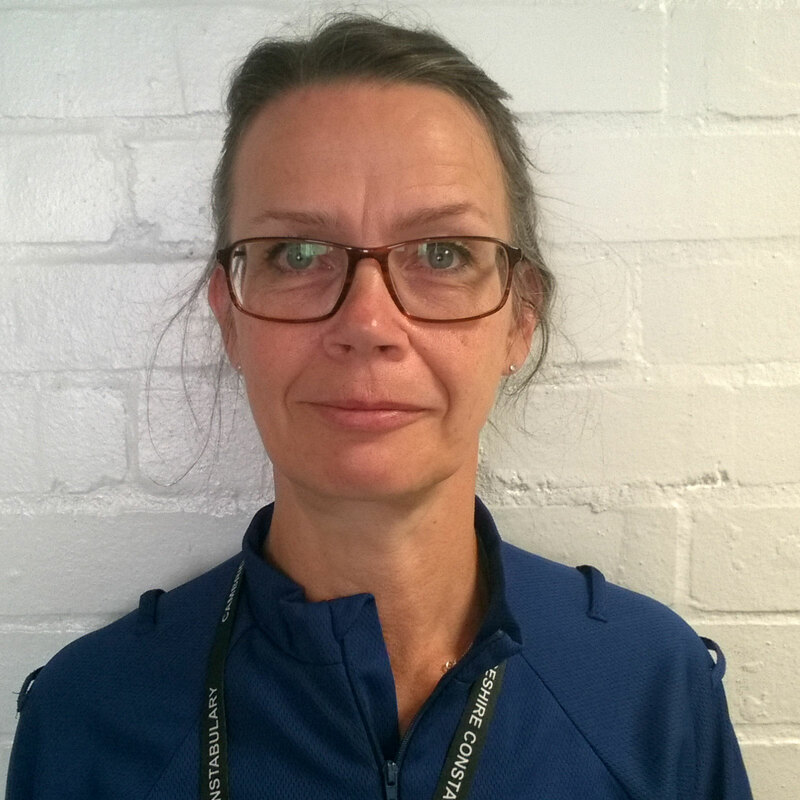 Hello, my name is Dawn Hodgson and I am one of your local PCSO’s for Yaxley and surrounding villages. I joined Cambridgeshire Constabulary in May 2017 after a successful career as a Community based Horticulturist working for many Councils over the years. When I left the gardening world I wanted to remain within the Community based role as this is where my heart is, so I applied for the role of PCSO and luckily I achieved my goal. I strongly believe in the sense of Community and the comfort this brings to those that live within it. I am a firm believer in reaching out to the Community to aid those that require a little assistance from time to time and will aim to do everything in my power to achieve this. This is my first ever blog, so please all do bear with me! This is going to be a monthly item, aimed at offering you news, hints and tips on keeping safe and local issues. The idea of this blog is to keep you informed on current matters that affect you as a Community, and to maybe answer some of those “what are the Police doing about it?” questions with relevant information. You may have noticed me out and about on foot patrol within the village, not only do I enjoy this very much, but it gives the Community a chance to stop and talk to me, raise any concerns or just talk about the weather. One of the biggest complaints I get on foot patrol is about the parking on LANDSDOWNE ROAD. I can assure you, I have issued many a ticket there, and we are aware there is an ongoing issue. As well as being on a bend, and double yellow lines, many people still park there. Those with a blue badge are perfectly legitimate to park on double yellow lines as long as it is safe to do so and they are displaying their blue badge, those who do not should expect to receive a ticket. I have noticed a lot of vehicles parked opposite the entrance and exit to the free carpark to the rear of the shopping centre. It is illegal to park opposite here, blue badge or not. I have spent the last couple of months letting people know they cannot park opposite a junction and asking them to move, my next step is to issue a polite parking notice, if the driver then attempts to park there again, they will immediately get a ticket and a £30 fine. 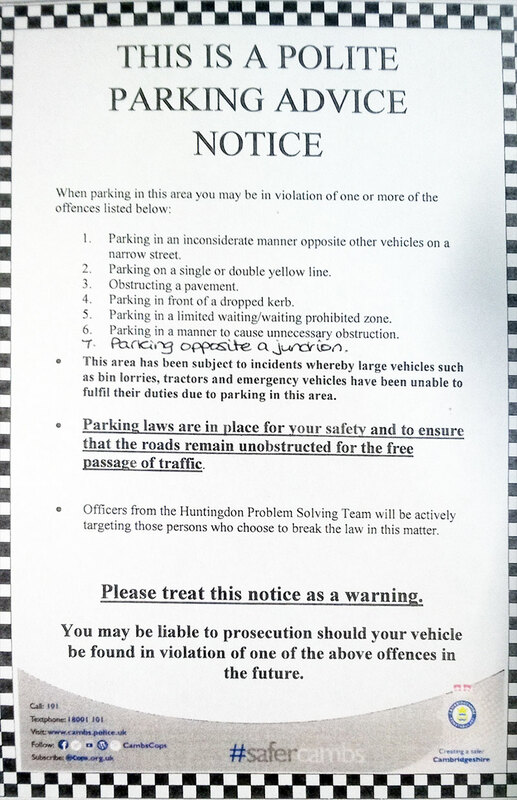 You will start to see POLITE PARKING ADVICE NOTICES appearing on windscreens in the near future, please take this as a polite warning and do not ignore it – your badge number and number plate details will have been logged and kept for future reference. While we cannot be everywhere at once, we do our best to listen and act on any information, and will continue to monitor the situation with the assistance of the local Community to resolve the issue. Please take this seriously, safety is paramount! Despite the best efforts of Law Enforcement and Neighbourhood groups, crimes are committed daily in communities everywhere. The best response is to remain vigilant by taking steps to secure your property and become involved by reporting suspicious activity. The police are always asking people to report suspicious behaviour but do you know how to recognize when something is suspicious? Perception of suspicious behaviour varies from person to person but it is usually based on a feeling that something doesn’t look right. It is about recognizing abnormal behaviour; it can be a fine line. Individuals avoiding eye contact / trying not to be noticed. Individuals in places they don’t belong e.g. walking out of someone’s back yard. Over dressed for the type of weather. Individuals that appear to be paying particular attention to a certain property or location. Strange vehicles moving slowly up and down the street or going door to door. In order for us to know what is abnormal it is advisable to get to know who your neighbours are, what cars are normally in your neighbourhood and who is usually out and about in your neighbourhood. Staying alert is not about becoming paranoid or developing an disproportionate fear of crime but hopefully by looking out for each other we can ensure that our community remains a safe place to live.